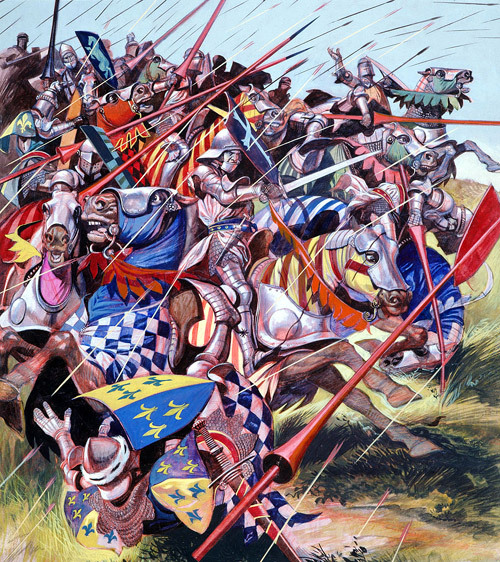 Into Battle: Agincourt -- The Impossible Victory. 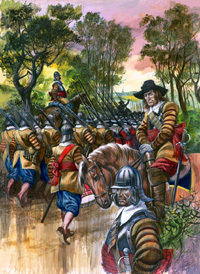 "Between two woods in the north of France, ten thousand exhausted Englishmen faced a French army four times bigger. The French had all the armour and all the food -- the English, only a dynamic, determined king to lead them..."
This is the original artwork for illustration on p8 of Look and Learn issue no 63.